1) Jolly Jumper boomerang nursing pillow – This is definitely my #1 choice!! 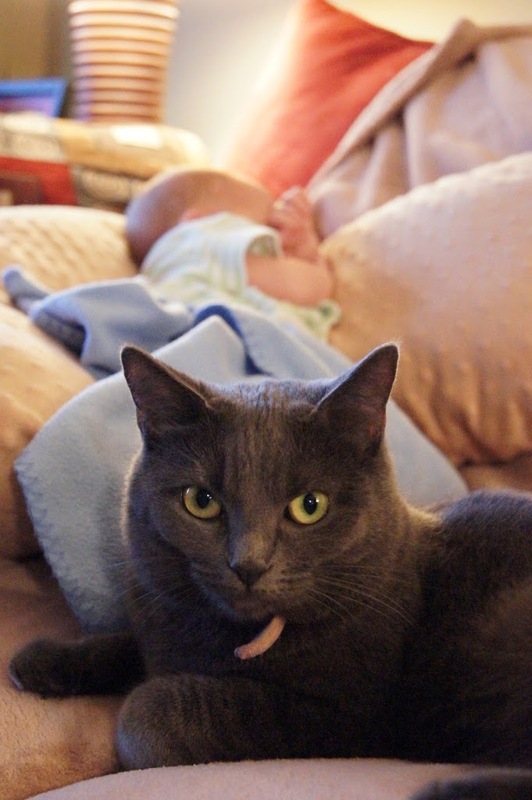 I was glad to have picked this one up while I was pregnant because it brought me great comfort when sleeping. I’d position it between my knees and wrap my arms around it while it supported my belly. It kept my spine perfectly aligned and supported all the right places. Once I delivered I used it to keep baby propped up while I was breastfeeding. I made sure I had it with me in the hospital because it made learning to breastfeed much easier and more comfortable. It was also perfect to position baby on the couch when sleeping and sat behind baby on the floor when he was learning to sit up on his own. It would provide a soft landing on 3 sides if he tumbled over. Now its his pillow in the crib and I miss it dearly. I almost want another one just for me! 3) Exersaucer – Stephen affectionately called our exersaucer, Alcatraz. It was an appropriate name. Chase got mobile at 4 months old so it was pretty essential to have a safe place that would occupy him while we were using the oven, having a shower or bringing in groceries. Once he was cruising he would also enjoy the toys from the outside and of course had loads of fun crawling underneath. It was a sad day when we decided to put ‘ol Alcatraz in the basement for storage. He had outgrown it by height so it was no longer a “safe” place for him, plus the independence that comes with walking made it a less favorable toy. 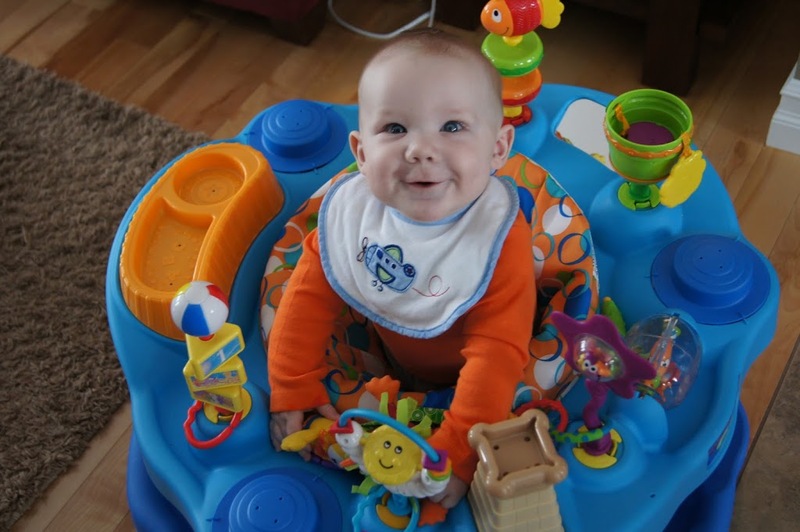 If you have to choose between a jolly jumper, vibrating chair or exersaucer, I’d vote exersaucer all the way! 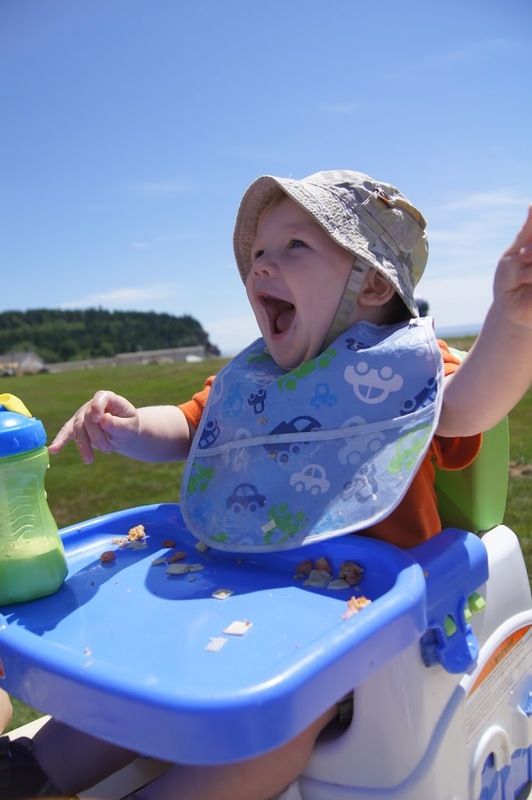 4) Fisher Price portable high chair – Some people purchase a portable high chair to meet their needs at home and on the go which is a true money saver. We preferred having a dedicated high chair at home so kept this in the car at all times which meant we never forgot it and had it available even if we weren’t planning to need it. It is compact, easy to carry, lightweight and easy to clean. We use it at the beach, at the park, during picnics, visiting friends and of course at restaurants. Don’t ask me why but most restaurant high chairs don’t come with a tray…seriously people… get with the program! It’s also nice to have when company visit with their kids over meal time. 5) Monitor – We went with the angel care monitor which I do plan to review on the blog at some point. Living on three finished levels, we were just thankful for the added security of hearing baby from anywhere in our home. We’ve also used it while we garden and shovel snow outside. In my opinion, a baby monitor is a staple. There are times I wish I had invested in a video monitor, especially now that Chase will be attempting the crib climb and moving into a toddler bed soon, but just having something to keep tabs on them while separated from Mommy & Daddy makes the monitor a top 5! I could have made this a top 10 Friday actually….it was hard to narrow it down but I think these were our absolute most used items. What’s on your list? Markus was a jumper pretty much as soon as he could organize his legs that way so we loved the jumparoo. Similar to the exersaucer but on springs. Video monitor- we got one from the source for $100. It's actually meant to be a surveillance camera but works great in the dark & light. The sound feature isn't the best. But the best feature- it allows us to connect with our smart phones so I can watch Markus nap/jump and walk around with a blanket over his head at home or work or even running errands! Top 5 Friday – Why I Love Project Life!